All-inclusive en-suite with 3/4 bed. Find out more about our Deluxe En-Suite Rooms at Luton Student Village. 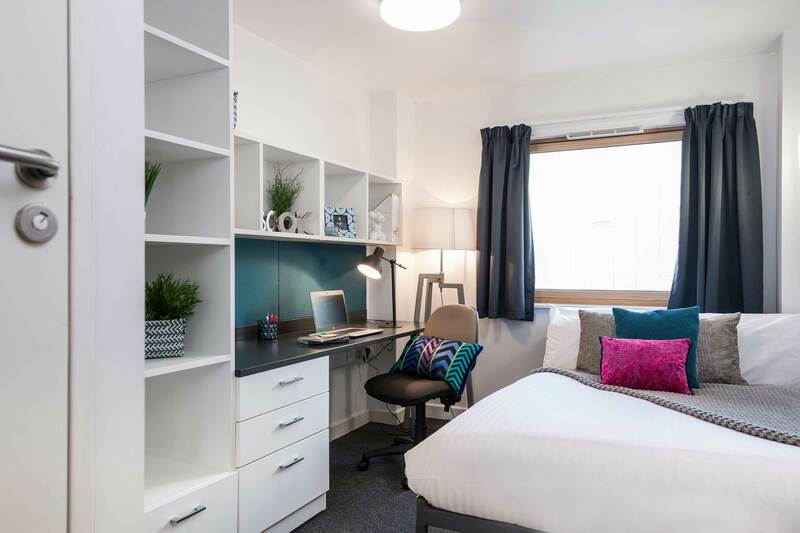 We provide a 3/4 bed as well as a study desk, en-suite and extra storage! Looking for a little extra luxury? 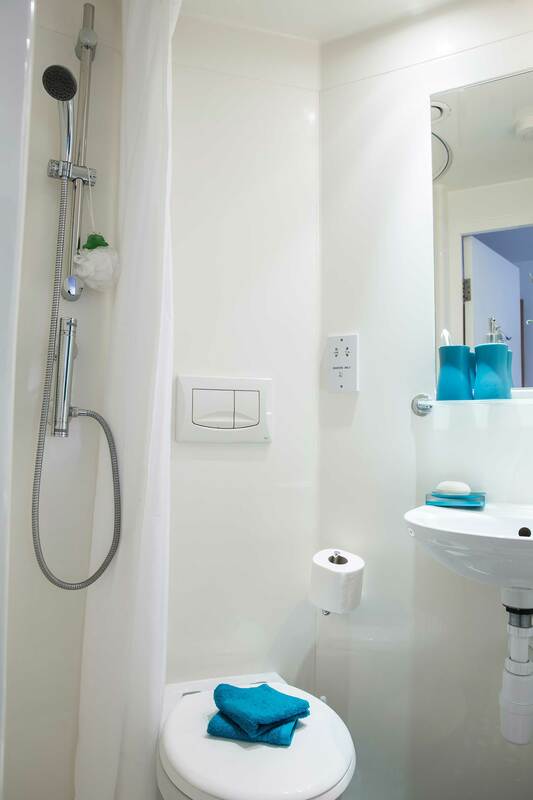 Check out our Deluxe En-Suite Rooms at Luton Student Village. 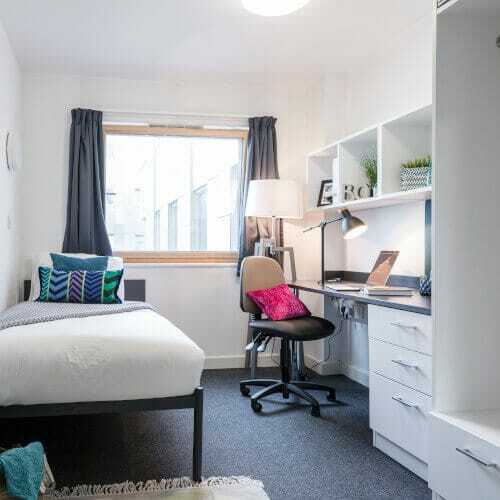 As well as your own bathroom, you'll find a generous amount of space for all of your belongings – with wall storage and a wardrobe – as well as a desk and chair for studying. So why hang around? Book your room today and dream about lounging on your comfortable new bed or making memories in the shared kitchen! *Pictures of bedrooms are for demonstration purposes only and rooms allocated may have a different configuration. 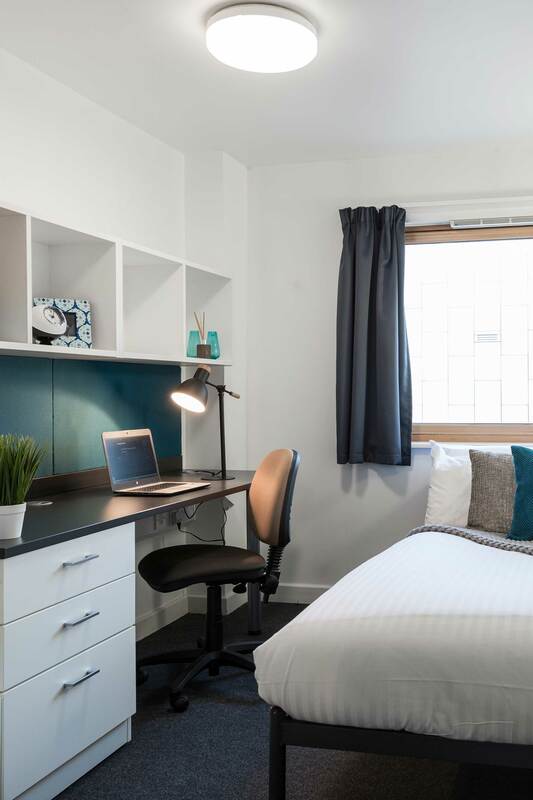 Get stuck into uni life in a Standard En-Suite Room at Fitzroy and Wenlock Courts. 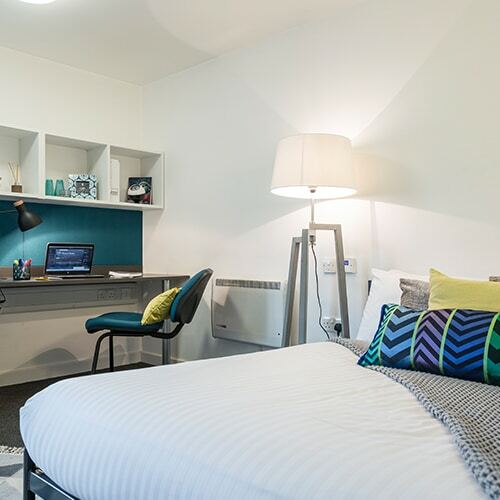 Our offering includes a comfy single bed, private bathroom & a study desk too! 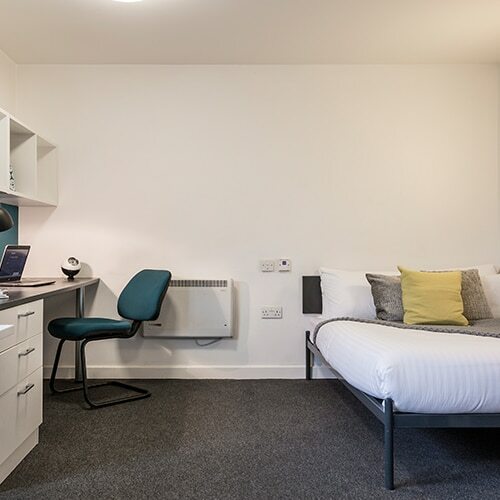 Enjoy uni life to the full - choose one of our Deluxe Plus En-Suite Rooms at Fitzroy and Wenlock Courts. Find out more about this luxury option today. 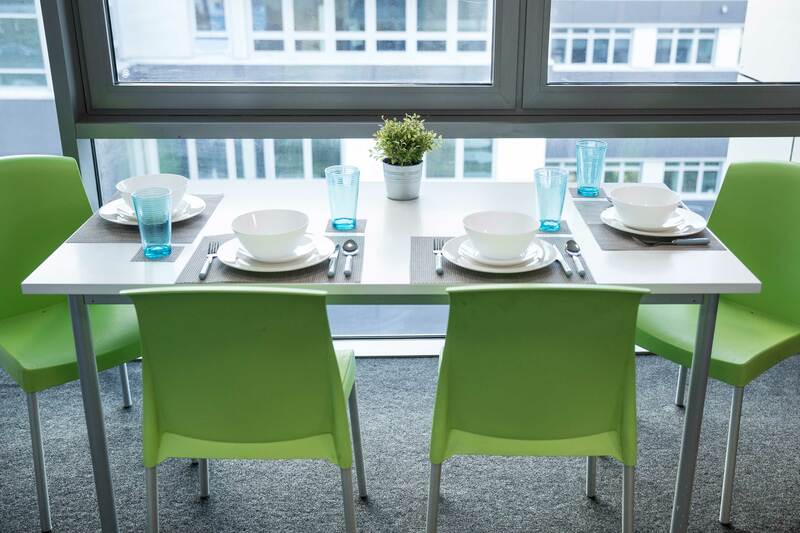 Make the most of uni life with one of our amazing Studio flats at Fitzroy and Wenlock Courts. Take a closer look & find out more about your lush new home today!